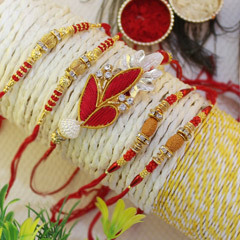 Raksha Bandhan is the occasion that celebrates the beautiful bond between brothers and sisters. 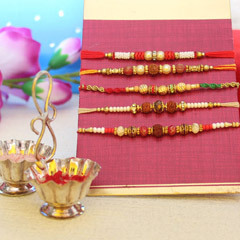 And, if you have five loving brothers, you are definitely lucky! 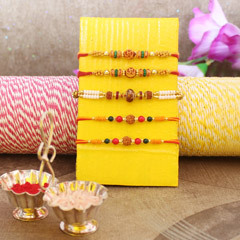 You must not forget to show your gratitude to your brothers for all the love and affection. 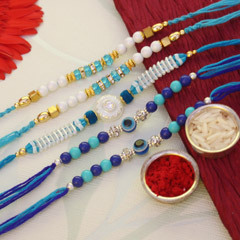 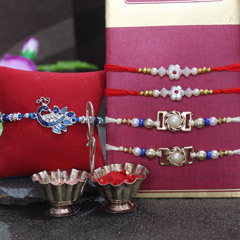 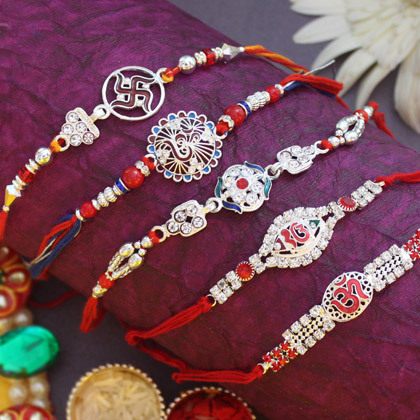 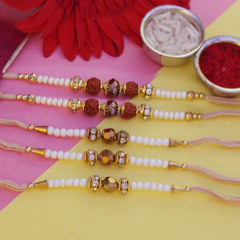 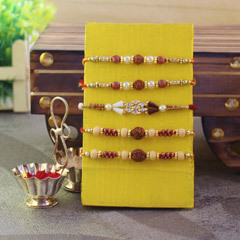 We have this set of 5 beautiful Rakhis and it will perfectly deck up your brothers’ wrists.